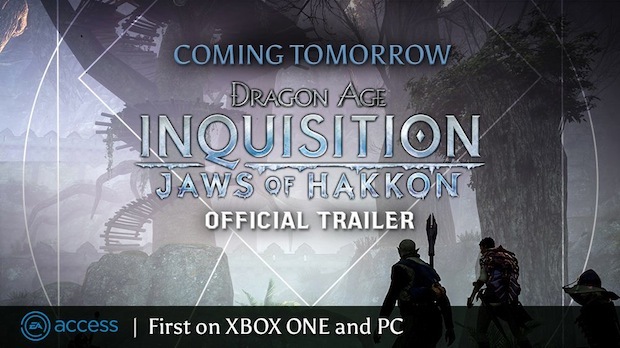 The first trailer for the add-on will launch tomorrow, March 24th, but it appears that the content will come to PC and Xbox One users first as part of EA Access, a service Sony turned down for PlayStation 4. Dragon Age: Inquisition was Gaming Trend’s Game of the Year for 2014, but despite its success, Bioware won’t be releasing a new game in the series in 2015, nor will Inquisition become the template for the studio’s new Mass Effect. Series lead writer David Gaider recently announced that he would be leaving the Dragon Age series for a new project within Bioware. For more on Dragon Age, check out our spoilercast and thoughts on one of the game’s party members named Dorian.